Australians Jarmila Gajdosova and Matthew Ebden are through to Sunday's Australian Open mixed doubles final. 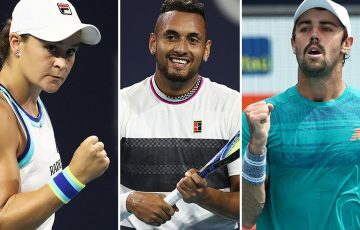 Australians Jarmila Gajdosova and Matthew Ebden are through to Sunday’s Australian Open mixed doubles final after clinching a tight two-set semifinal on their fourth match point. 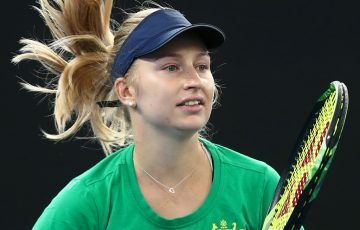 The Australians beat Kazakhstan’s Yaroslava Shvedova and Uzbekistan’s Denis Istomin 7-5 7-6(5), coming from a break down in the second set to win it. Ebden and Gajdosova grabbed the ascendancy late in each set. In the first set, they broke Shvedova’s serve in the last game. In the second, they were down 2-4, but fought back by again breaking Shvedova’s serve to level at 4-4. Upon reaching the tiebreaker, they raced ahead 6-2 to give themselves four match points, but then faced some nervous moments. 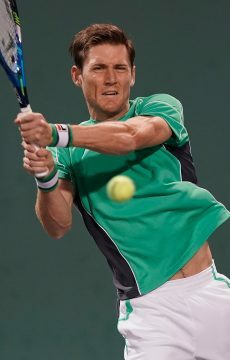 An unfortunate deviation off the net cord caught Ebden off guard at the net on the first match point. 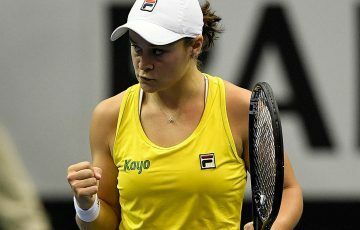 Unforced errors off groundstrokes from first Ebden, then Gajdosova, off the next two points left the Australians with just one match point up their sleeve. 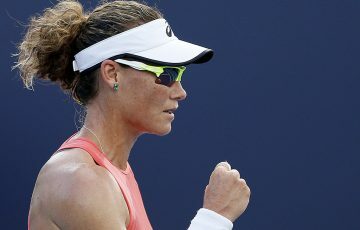 But Gajdosova clinched the match by passing Istomin at the net with a well-hit backhand down the line. 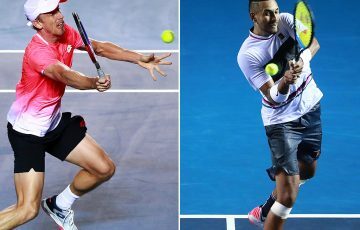 Australian tennis legend Margaret Court was cheering the Australians on and Ebden said she had been a big help in his career. “I want to thank her for helping me out and being a bit of a mentor to me,” he said. 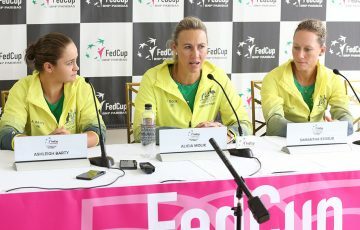 Gajdosova said Ebden had guided her through the tournament. “He tells me what to do. I just make it happen. He’s a good coach,” she said. 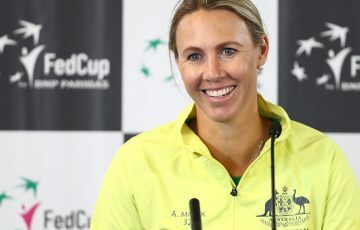 The Australian wildcards now meet unseeded Czech pair Lucie Hradecka and Frantisek Cermak in the final.